In his inaugural address on September 21, 1831, Wesleyan’s first President Willbur Fisk said “Education should be directed with reference to two objects—the good of the individual, and the good of the world.” Today, the University’s mission is to provide “an education in the liberal arts that is characterized by boldness, rigor, and practical idealism.” These foundations inform and inspire the work of the Patricelli Center, which teaches practical skills, builds a community of changemakers, and forges pathways for student entrepreneurs and innovators from all classes and majors. The Center is only six years old, but thanks to leadership of the Patricelli Family Foundation, Propel Capital, and many individual donors, we are now an endowed program and a permanent fixture at Wesleyan University. We are poised to grow while remaining nimble and responsive to increasing student interest in social entrepreneurship and rapidly changing conditions in the world around us. In the six years since it was founded, the Center has awarded a total of $250,000 in grants to 120 students or student-led projects. This year, we gave three $5,000 seed grants (which fund the launch or early stage growth of a project or venture), two $4,000 internship grants (which fund an unpaid summer experience in the social sector), and twelve sponsorship grants of varying amounts (which support entrepreneurship ecosystem-building events and programs at Wesleyan). 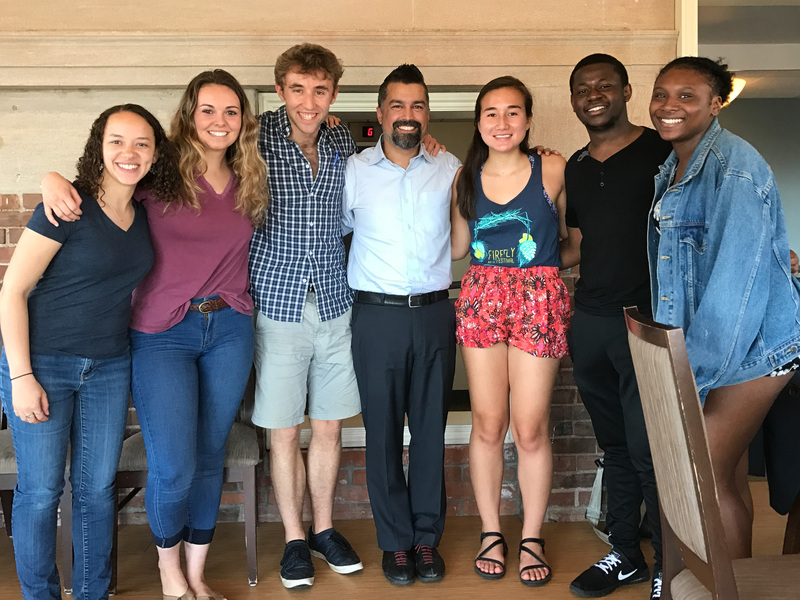 The Patricelli Center launched a Fellowship — a year-long, project-based, cohort-style program for student entrepreneurs, intrapreneurs, and changemakers. Thirty-seven students enrolled and worked on projects and ventures ranging from peer mentorship in Atlanta to health access in rural Ethiopia. Eighteen students have already enrolled for 2017/2018, and at least twelve more will be selected in the fall. 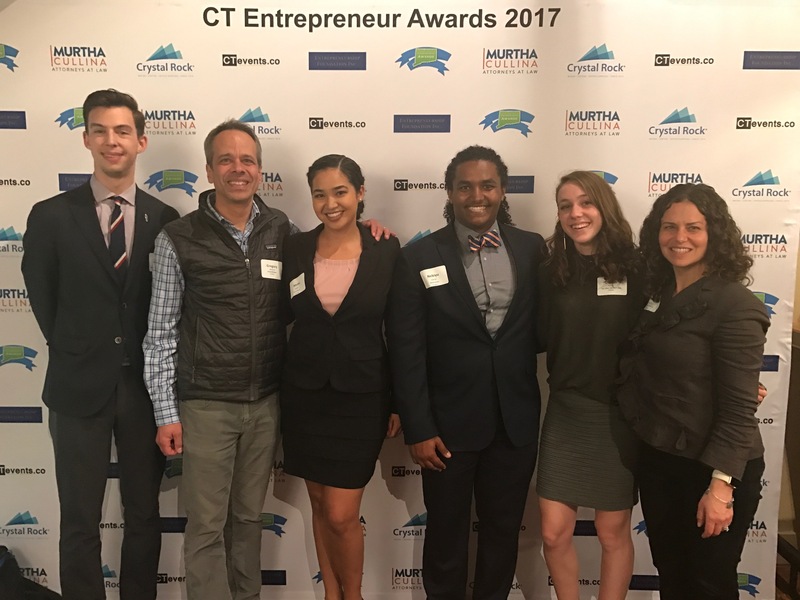 Rural Access (Nebiyu Daniel ‘18) and The Other Mother’s Day (Devon Feuer ‘20), two student-led social enterprises, were honored with CT Entrepreneurship Awards. Siri McGuire ‘17 and Taiga Araki ‘17 received the Aetna Foundation InnovateHealth Yale seed grant for their healthtech startup, MindScope, which aims to transform the way that invisible diseases and symptoms are communicated and treated. Princeton Review named Wesleyan the #1 school for “making an impact” for the second time. Senator Chris Murphy (D-CT) named the Patricelli Center a “Murphy’s Innovator of the Month”. Patricelli Center director Makaela Kingsley participated in the statewide effort to catalyze Entrepreneurship & Innovation in Higher Education, was a panelist at the AshokaU Exchange conference and the Impact Hartford Design Lab, and served as a Coach for the AshokaU Commons in both Fall and Spring. Wesleyan’s strategic plan was updated in Beyond 2020. With its emphasis on “teaching students to become translators and innovators as they explore problems and opportunities that matter to people inside and outside of academia,” Beyond 2020 highlights the relevance and importance of the Patricelli Center at this particular moment in Wesleyan’s history. Appalachian Scholar Project (Dennis White ’19): Appalachian Scholar Project believes our futures lies in education. We intend to transform rural American communities by improving access to our nation’s best universities. Dream Chasers (AJ Wilson ’18, Rhea Drozdenko ’18, Julian Payne, and Celina Cotton): Dream Chasers is a three year old registered non-profit organization that is dedicated to closing the academic and opportunity gaps in the South and Midwest through peer mentorship, events and workshops, and community engagement. Move and Connect (Shingo Umehara ‘18, Kotaro Aoki ’16, Kaito Abe ‘15, Eiko Otake): Move and Connect is a platform in Tokyo, Japan, where people across different occupations and over different generations learn through liberal arts education, especially artistic expression, body movement, and critical engagement with history and culture. We believe that liberal arts education combined with creative art workshop can create active agents and unite people with different backgrounds. Two students received summer internship grants from the PCSE. Like all of our grantees, they will report on their experiences via ENGAGE blog posts. Film major Ruby Lanet ’18 is using her grant to do both an internship and an independent project. She will be a film production assistant at Working Theater Disorder, a professional collective weaving performance and film, and she will complete a documentary that she began working on this year. The documentary explores the line between the Deaf and the hearing world, specifically, Ruby writes, “The question of assimilation into the hearing world – a highly controversial debate amongst educators and Deaf folk. My interest in exploring Deafness, hearing assimilation, and sign language in the form of a documentary film comes not just from my personal connection to these issues, but also from various American Studies courses that I’ve taken (Health, Illness, and Power and Popular Culture and Social Justice) that examined disability culture and questioned assimilation tendencies as erasure.” Wesleyan connections abound in Ruby’s summer plans: Her internship supervisor is Marianna Ellenberg ’99, co-founder of Working Theater Disorder, and her documentary film advisors are Theater professor Marcela Oteiza, visiting Film professor Oksana Kazmina, and video services manager Melissa Sullivan Rocha. Shantelle Brown ‘19 received a Davis Projects for Peace grant to launch Sisters for Empowerment & Equality (SEE), which aims to address gender inequality in Jamaican culture through an art-based mentorship program for girls age 13 to 16. Becca Winkler ’16, founder of Walking Elephants Home, and her team at Mahouts Elephant Foundation (MEF) won the 2017 European Outdoor Conservation Association (EOCA) grant. Let’s Be Clear, founded by Rachel Verner ’15, raised $25,924 on Kickstarter. Claudia Kahindi, who created an English language education program in her hometown in coastal Kenya, was named a 2017 Newman Civic Fellow. Kindergarten Kickstart, a Middletown-based initiative and past winner of the PCSE Seed Grant, just began its sixth year, and ZimCode, a coding school in Zimbabwe and past Davis Projects for Peace grantee, began its second. The Wesleyan Doula Project is beginning to replicate its unique model at colleges such as Carleton College in Minnesota and Oberlin College in Ohio. The Patricelli Center Fellowship, a new course in 2016/2017, is a one-year, project-based, cohort-style program. Fellows are a self-selected, committed, and diverse cohort of individuals or teams from all classes and majors who are passionate about innovation, creativity, and problem-solving; identify as entrepreneurs, intrapreneurs, changemakers, activists, disruptors, designers, inventors, and/or thought leaders; and have tenacity, empathy, interdisciplinary thinking, strong work ethic, and the ability to work independently. Some Fellows launch or run their own project or venture, while others find alternate paths to social impact. Before launching the program, we expected 10-15 students to enroll in this pilot. We ended up with 37. You can read about them here and view the syllabus here. The Patricelli Center continues to curate a list of Wesleyan classes that relate to social entrepreneurship. We hope this will further assist students in connecting their curricular and co-curricular social impact work. This year’s list was especially robust, including Nonprofits and Social Change co-taught by Jeff Shames ’77 and Rob Rosenthal, and Design for Social Change taught by Ric Grefe. More than 50 constituents have 24/7 ID-card access to the PCSE Board Room. This space is a hub of social innovation on campus, used for idea and venture incubation, service-learning course TA sessions, peer advising, and more. The PCSE, Jewett Center for Community Partnerships (JCCP), and Allbritton Center for the Study of Public Life (ACSPL), collaborate as a hub of civic engagement theory, research, experience, and practice. We are all housed together in Allbritton Hall in the heart of campus (formerly Davenport Campus Center and Scott Labs). The Gordon Career Center’s job and internship databases, resume service, and workshops complement PCSE programs. Kai Entrepreneurship Wesleyan, The Wesleyan Consulting Group, The Wesleyan Doula Project, and other impact-driven and entrepreneurial groups on campus offer experiential learning opportunities for students. The PCSE Advisory Board and alumni volunteers provide invaluable advice and support for the Center. Special thanks go out to the alumni, parents, students, faculty, staff, and friends who served as presenters, advisory board members, grant judges, and peer advisors in 2016/2017. Key partners across Connecticut inform and support the work of the Patricelli Center including the Yale Entrepreneurial Institute, reSET, CT Entrepreneurial Event Organizers, Entrepreneurship Foundation, and the Connecticut Conference of Independent Colleges. Social entrepreneurship colleagues from other institutions come together through AshokaU to share ideas and resources. Next year, we will ramp up the Patricelli Center Fellowship, incorporating many lessons learned from our pilot year. To recognize the rigor of the program and the commitment shown by Fellows, the course will increase from 0.5-credits per semester to 1.0-credit per semester. 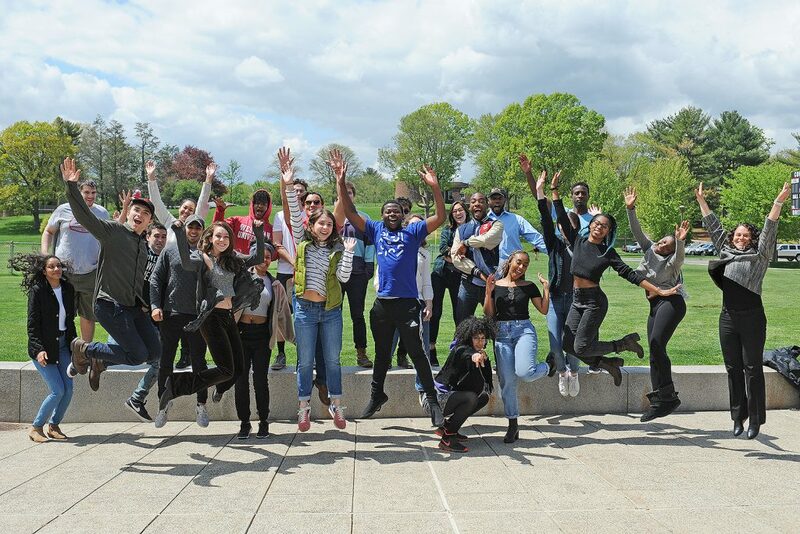 PCSE will also initiate a partnership with Wesleyan’s new design and engineering program, IDEAS, and consider possibilities for external partnerships with other colleges and universities across the state of Connecticut. To learn more or find out how you can support the Patricelli Center for Social Entrepreneurship, visit www.wesleyan.edu/patricelli or contact mjkingsley@wesleyan.edu. ← 2016/2017 Advisory Board Members, Grant Judges, Pitch Coaches, Mentors, and Presenters: Thank You!